Here’s my take on the year’s high points. As many have noted before me, “best” is a useless word when applied to the cornucopia available in the arts. Here are the people and productions that most inspired me. “A SHORT show is a good show,” we all carol (me and my fellow critics) as we enter the auditorium for yet another 70- to 90-minute piece of theatre, but put a 10-hour marathon before us and we can’t get enough. So I have lists for big things, small things, individuals, a few words on musical theatre and a couple of miscellaneous thoughts. Angels in America, Parts One and Two, Belvoir, Sydney: I’ve said it before and I’ll say it again. This is the best play to have been written in English in my lifetime. Belvoir’s production was very fine. Life and Times, Nature Theater of Oklahoma, Melbourne Festival: The ums, ahs and pauses of an ordinary life rendered first as a dippy musical, then as a drawing-room mystery. You had to be there (for 10 hours indeed). Sublime, transcendent. Royal Concertgebouw Orchestra of Amsterdam: Scintillating Stravinsky Firebird suite and glorious Tchaikovsky fifth symphony. Magic. The Ring, Opera Australia, Melbourne: not a flawless production, but one that felt right for this place and this time. Director Neil Armfield’s strength is finding the humanity in situations where it may seem to be missing in action and he did it here. Under last-minute mini-maestro Pietari Inkinen (only 33!!) the Melbourne Ring Orchestra put in a blinder. Bravi. 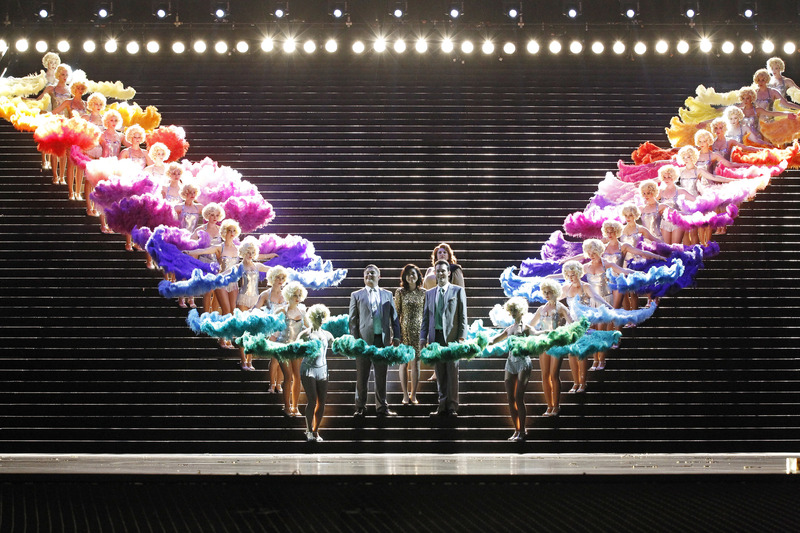 The Threepenny Opera, Berliner Ensemble, Perth International Arts Festival: Not a huge company, but a Robert Wilson production simply cannot be put into any category other than outsized. Stupendously performed, gorgeous to the eye, a knockout band in the pit, witty, sardonic … you get the idea. The Floating World, Griffin, Sydney: A devastating production (Sam Strong directed) of John Romeril’s devastating play. I saw the last scene with tears pouring down my face. A rare occurrence. Giasone, Pinchgut Opera: Apparently the most popular opera of 1649. Worked pretty damn well in 2013. Independent theatre x 3: I have to mention this trio of splendid plays and productions thereof. I was thrilled to have been able to see Jez Butterworth’s brilliant Jerusalem in Sydney, and done so persuasively by the New Theatre. Workhorse Theatre Company’s The Motherf**ker with the Hat was hold-on-to-your-hats exhilarating, and is getting a re-run in 2014 at the new Eternity Playhouse. Hooray. And in Siren Theatre Company’s Penelope (by Enda Walsh), all sorts of trouble arises when Odysseus’s arrival back home is imminent. As with Workhorse, Siren did a superb job in the tiny confines of the theatre at TAP Gallery. Owen Wingrave, Sydney Chamber Opera: This young, tiny outfit did Benjamin Britten proud in his centenary year. Really memorable music-making. The Rite of Spring, Fabulous Beast Dance Theatre, Brisbane and Melbourne festivals: In the Rite of Spring centenary year, Michael Keegan-Dolan’s setting in a harsh, cold village was, not surprisingly, dark and threatening. His ending, however, stressed the renewal and healing that is to come. The score was played in Stravinsky’s four-hand version (on one piano); earlier in the year, in Sacre – The Rite of Spring (Raimund Hoghe for the Sydney Festival), we heard the score also played ravishingly by four hands, but on two pianos. Sacre was a difficult dance work for many; I admired it greatly. School Dance, Windmill Theatre (seen at Sydney Theatre Company in association with the Sydney Festival): loved, loved, loved. Super Discount, Back to Back Theatre: Deeply provocative on all sorts of levels. Can’t wait for Ganesh versus the Third Reich to come to Sydney – finally – next year. Waiting for Godot, Sydney Theatre Company: Luke Mullins, Philip Quast, Richard Roxburgh and Hugo Weaving were an immaculate quartet of players in one of the year’s most heart-piercing productions. David Hallberg (American Ballet Theatre and Bolshoi Ballet principal): Luminous in Alexei Ratmansky’s Cinderella for The Australian Ballet in Sydney. Prince of princes. Peter Kowitz: Les in The Floating World (see above). Ewen Leslie: A huge year on the Sydney stage as a desolate Brick in Belvoir’s contentious Australian-accented Cat on a Hot Tin Roof, The Player in Sydney Theatre Company’s terrific Rosencrantz and Guildenstern are Dead, and most powerfully – and impressively – as Hamlet for Belvoir, stepping in at short notice when original Dane Toby Schmitz was called overseas for filming duty. A rare change to compare and contrast in one of the roles by which men are judged. Closely. Catherine McClements, Phedre, Bell Shakespeare: A scarifying performance in a production that was, in my opinion, sorely underrated. Not by me though. Amber McMahon: Harper in Angels in America for Belvoir, various roles in School Dance for Windmill, special in everything. Sharon Millerchip, Bombshells, Ensemble Theatre: Dazzling in Joanna Murray-Smith’s ode to the many faces of womanhood. Tim Minchin: Lucky old us to see him not once but twice on stage, as a show-stealing Judas in the arena Jesus Christ Superstar and Rosencrantz in Rosencrantz and Guildenstern and Dead. Or is that Guildenstern? Don’t ask Claudius or Gertrude to help you out. Luke Mullins: Prior Walter in Angels in America, the quiet centre of Kit Brookman’s Small and Tired, Lucky in Waiting for Godot. Fantastic in all of them. What a year! Bojana Novakovic, The Blind Date Project, Sydney Festival: I adored this little improvised show. Wish I could have seen Novakovic with many more of her blind dates. Myriam Ould-Braham, Paris Opera Ballet: Made her debut as Giselle in Sydney in February, making us here the envy of many a Paris balletomane. She was divine, as was fellow etoile Dorothee Gilbert. Both were partnered by the supremely elegant Mathieu Ganio. A joy to see the company here again. Steve Rodgers: Rodgers has long been one of my favourite actors – so simpatico, even when taking on a difficult subject matter in Griffin’s Dreams in White. And especially in Gideon Obarzanek’s Dance Better at Parties for STC. Rafael Bonachela, artistic director, Sydney Dance Company: He’s here, he’s there, he’s everywhere. Bonachela sees everything and is bringing lots of strong artistic collaborations back for his astoundingly beautiful dancers. Li Cunxin, artistic director, Queensland Ballet: He’s taken the company back to the classics and people have voted with their wallets. All shows have been sold out and all shows have been extended. I think Brisbane likes him. Lyndon Terracini, Opera Australia: Got the Ring up. Respect. It was an exceptionally patchy year for musical theatre in Sydney, although Dirty Rotten Scoundrels was really, really entertaining and super-well cast, and the arena version of Jesus Christ Superstar was a blast. The new consortium of music-theatre people, Independent Music Theatre, holds out promise for better things next year, and the feisty little Squabbalogic Independent Music Theatre continues to impress. Best new (only new) theatre in Sydney in 2013: Best is a word that certainly applies here. All hail Sydney City Council for getting the Eternity Playhouse happening. It is a truly beautiful 200-seat house, and an adornment to the city. Best seat in the house: A11 at Belvoir. The lucky incumbent – male or female, it didn’t matter- got a kiss from Toby Schmitz or Ewen Leslie during Hamlet. Alas I was not one of them. Clearest indication that critics don’t matter much: Dirty Rotten Scoundrels, which got the kind of reviews cast members’ mothers would write, did poor business in Sydney. Those of us who wrote about it adored it. We had very little effect. IT’S always something of an occasion when a dancer takes on a big role for the first time, particularly in one of the small handful of works in which ballerinas cement their reputation. I remember being thrilled to discover that Alina Cojocaru, then just 21, would tackle her first Odette-Odile in Sydney in 2002 when the Royal Ballet was visiting. That performance at the Capitol Theatre remains fresh in my mind. As will two debuts in Giselle this week, also on the stage of the Capitol Theatre – that of Paris Opera Ballet etoiles Ludmila Pagliero (February 4) and Myriam Ould-Braham (February 5). The aura of the spirit world hovered over Gilbert from the first. She was modest in manner, quietly radiant in the sweep and romance of her upper body and uncannily quiet in landing from swift, high entrechats and pillowy jetes. Her audience acknowledgement in Act II, after her solo, will stay with me for a very long time. Gilbert came onstage only a short way, curving in on herself and giving the impression of something already disintegrating. In her performance there was the clearest line of action, leading to distraction and death at the end of the first act and diaphanous immateriality in the second. On Monday Pagliero gave a dramatically different reading. She was large in gesture, flirtatious, wilful, mature. It seemed as if this Giselle was creating an invisible perimeter around her with swooping bends that looked exaggerated when set against the way in which others used their upper bodies. It appeared of little significance to her when her lover Loys – Albrecht in smart peasant-wear – presented her with the daisy from which he has surreptitiously pulled a petal so the message now is, yes, he loves me. Well of course he does. And when Giselle and Albrecht went through their little game of pulling hands away, Giselle was teasingly in charge, quite the forward one. When her exuberant dancing brought on a heart scare, Pagliero made it a moment of high impact, contracting extravagantly with a shudder. I found it difficult to believe this Giselle would go mad from grief. But rage – that’s possible. She has been mightily humiliated. I got the compelling impression Giselle would be a formidable presence in the woods at night: Myrtha might have to watch her back. I could even believe she saves Albrecht as a demonstration of her abilities. Pagliero covered the ground voraciously and astonished with super-high entrechats. As with Gilbert and, the following night with Ould-Braham, the audience gasped at the blurringly fast bourrees that zoomed her backwards offstage in Act II. The performance was marred for me by overly noisy footwork and because the Albrecht, Stephane Bullion, had a fairly ordinary night. He didn’t impose himself strongly on the piece and his substitution of double sauts de basque for part of the series of entrechats that represent Albrecht’s forced dance in Act II wasn’t particularly effective. Pagliero didn’t look terribly happy at the curtain call – or is that just a projection of mine? Perhaps things will gel better in the performances tonight (Wednesday February 6) and Friday (February 8). It was lovely to see Pagliero and Bullion acknowledge the corps, whose contribution is so central to Giselle. They are superlative in their unity of style and purpose and the formations are exceptionally trenchant for this group of “zombie virgins”, as British critic Richard Buckle memorably called the Wilis in a 1962 review. The manner of their final exit in two tightly bunched groups is chilling. Another relevant Buckle witticism I’d like to share: “Have you noticed, by the way, that the heroine … in French ballets always has eight Friends? That in itself is not so remarkable as the fact of their all being in town on the same day.” The eight Friends in POB’s Giselle are delightful, by the way, making one notice just how good for dance and for this ballet the often maligned Giselle score is. And now to Ould-Braham, whose natural, girlish appearance – she looks about 16 – and sweet (never saccharine) manner could not be more perfect. You could see she would be putty in the hands of an experienced man, and he would be likely to find her utterly adorable. Buoyant jetes, melting turns, delicate epaulement and the kind of security that banishes any sense of artifice were at Ould-Braham’s command. She was ravishing, carrying into the second act some of the gentle life force that illuminated the first half. This Giselle isn’t really dead until she has saved Albrecht. POB’s Giselle has the most brilliant ending to Act I. Usually a bit of a melee forms around Giselle’s body. Here Berthe, Giselle’s mother, simply sees Albrecht off with a long, penetrating stare. Perfect. No one can really match Marie-Agnes Gillot for command of the stage. Second-cast Emilie Cozette is fine as Myrtha if you haven’t seen Gillot, but doesn’t have her grandeur, nor her ability to come down from a jete without a sound. Nolwenn Daniel made her debut as Myrtha alongside Ould-Braham, and impressed with serious balances on pointe and the way she used the air – the wind beneath her wings, if you like – to convey weightlessness. Sydney Lyric Orchestra played well for conductor Koen Kessels, who liked to set a lively pace. The brass didn’t have a great night on Monday. The Capitol Theatre is excellent for large-scale ballet. It would be very pleasant to see more big companies there more often. A bouquet for premier danseur Audric Bezard, who has danced Hilarion every night so far and did get one thinking seriously about whether Giselle was an extremely silly girl to knock him back. And many bouquets to Leo Schofield and Ian McRae for bringing POB back to Sydney. In a world in which ballet commentators are forever banging on about the internationalisation of companies and the consequent dilution of national style, POB remains sui generis. GISELLE may be seen as a ballet of two contrasting halves, the world of the living giving way to the realm of the spirit. It is usually played in that manner, with Giselle’s death at the end of Act I the bridge from reality to the fantastical world of the Wilis, wronged women who wreak revenge on any man foolish enough to enter their ghostly domain. Paris Opera Ballet’s exquisite production fruitfully blurs that distinction. The curtain rises on Alexandre Benois’s 1924 design for the ballet, one in which castles perch on peaks in the background and the foreground is a leafy, autumnal glade. The idealised, romanticised peasant village of the first act is already a place of the imagination. For once it’s meaningful rather than puzzling that all the young women – jolly girls celebrating the harvest – are dressed identically, as they will be in the second act. 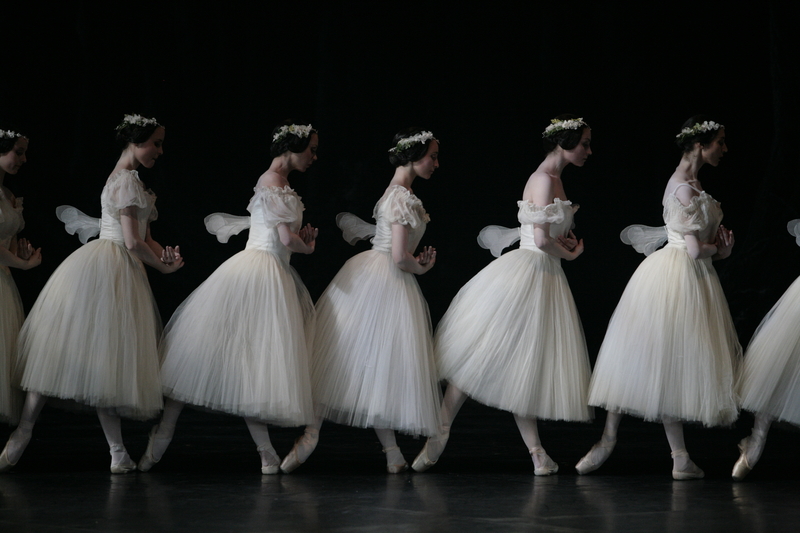 The mime for Giselle’s mother, often reduced or smudged elsewhere, is absolutely central. Berthe (Amelie Lamoureux on opening night) describes in detail what lies beyond the village confines for young women whose hearts are broken. Not only that, she is warning of very present danger in the person of Albrecht, the disguised nobleman who has won Giselle’s heart but fails to fool Berthe. The veil separating this world from the next is almost transparent. All this is embedded in the bodies of the POB dancers, who capture an essence rather than carve out character. On opening night Mathieu Ganio’s glamorous Albrecht was nobility encapsulated, Audric Bezard’s gamekeeper Hilarion the equal in looks and bearing to Albrecht, Dorothee Gilbert’s meltingly beautiful Giselle almost a creature of the air from the beginning, Marie-Agnes Gillot’s Myrtha, Queen of the Wilis, a figure of implacable control. Interestingly and tellingly the non-dancing royals who stop by Berthe’s cottage for mid-hunt refreshment are the most recognisably human, but they are important only as a way of precipitating the tearing of the veil. 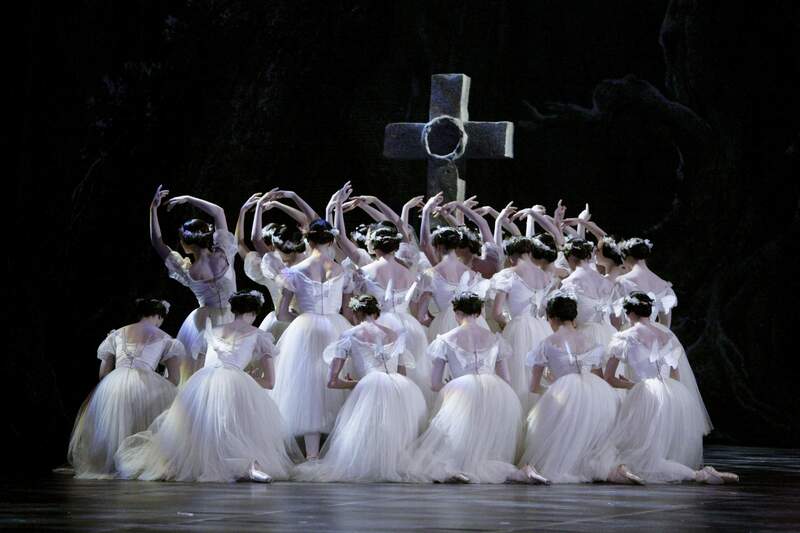 The choreography has many hands on it, as do all productions of Giselle, which had its premiere in Paris in 1841. The 1991 adaptation by Patrice Bart and Eugene Polyakov adds individual grace notes to the generally known framework that add to the high level of sophistication. Particularly lovely is the way in which feet sparkle with the clarity and brilliance of diamonds – the speed and articulation are extraordinary – while the upper body curves with languorous sensuality. Best of all is the quality of restraint. At no time is the work stretched out of shape in a hunt for the big bang. The dancing is superb because it refuses to glitter emptily, and because there is that unanimity of style and purpose for which POB is famed. All is underpinned by a wonderful reading of the Adam score by the Sydney Lyric Orchestra under the alertly responsive conducting of Koen Kessels. 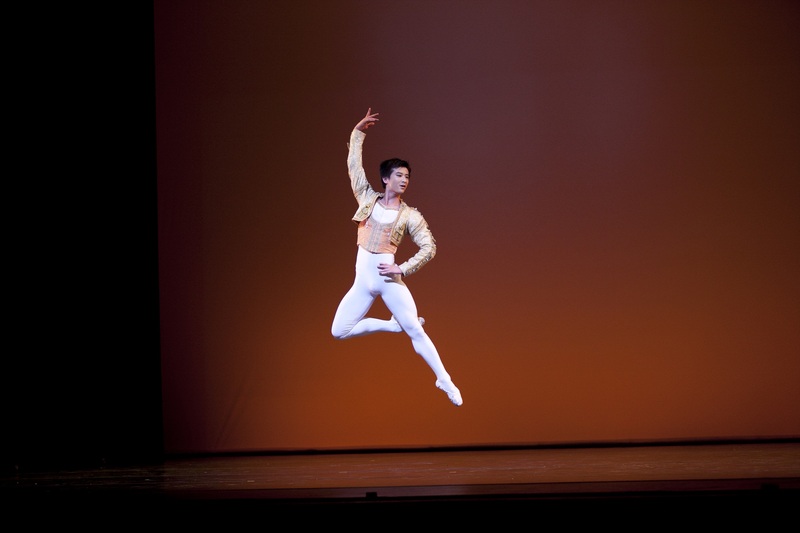 The women of the corps are breathtaking in Act II as is Gillot – a dancer with enormous presence. The stage is hers to control and she does it superhumanly, landing as silently as a cat. There is a striking moment when the Wilis, kneeling to Myrtha, turn what you might expect to be a legato sweep of the arms into two definite movements. The automaton-like effect further imprints the idea of the Wilis’ subjugation to their queen and their existence as a regiment rather than as individuals – something that is possible only because of the immaculate corps. And above all there is Gilbert. Shyly and quietly radiant in the first act, almost transparent thistledown in the second, and entirely unforgettable. Four other casts are scheduled to appear during the season. Gilbert appears only twice more, on Thursday evening (January 31) and Saturday’s matinee (February 2). Also dancing the title role are etoiles Isabelle Ciaravola, Ludmila Pagliero and Myriam Ould-Braham. Premiere danseuse Melanie Hurel, who was charming and vibrant in the opening night peasant pas de deux with delightful Emmanuel Thibault, is given one performance at the matinee on February 9. Veteran POB star Nicolas Le Riche was a last-minute scratching so Ganio – who joined the POB corps in 2001 at the age of 17 and was named etoile an astonishingly swift three years later – steps into the breach to partner Ould-Braham when his performances with Gilbert are done. Ganio’s elevation, the speed and precision of his beaten footwork and his aristocratic lines make him a wonder to behold – a man who could never be mistaken for one of the people, to be sure, but really, when did we ever believe that when watching Giselle? This review first appeared in The Australian online on January 30. An edited version appeared in The Australian on January 31.